Go big or go home. 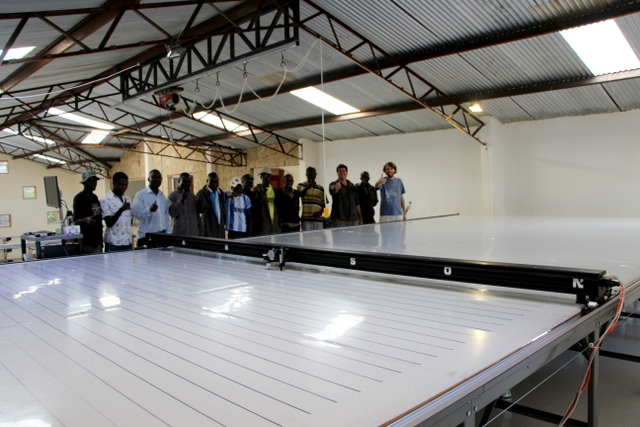 Bydesign, a luxury safari tent making company in Nairobi, Kenya, purchased the widest Carlson Design plotter/cutter to date at 14.5′ (4.41m). 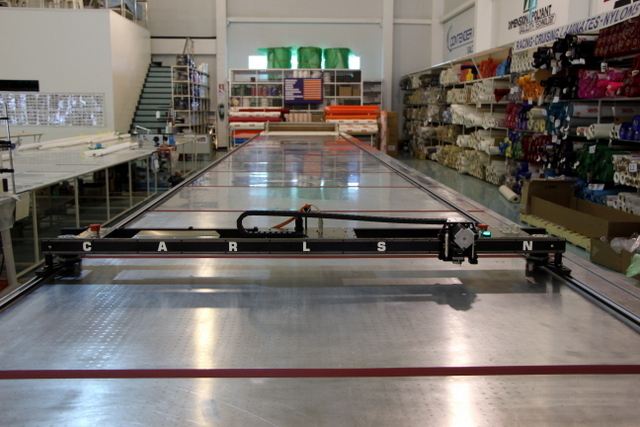 They knew they needed to automate to meet the growing demand for their amazing products. To accurately cut their tent panels from pvc, ripstop, and mesh, they needed a 4m wide working area. We provided a turn-key 14.5’x28′ system to shave weeks off their cutting time. “Same Same, but Different”. This common Thai expression perfectly sums-up the installation of our SECOND Pro PT plotter/cutter at Rolly Tasker. For one week in March, 2014 we updated their 2007 PT-78” plotter/cutter AND installed a new 2014 PT-72” plotter/cutter. We also introduced NEW autonesting software and best-practice training.